First of all, what is comGateway? comGateway is an e-Commerce company that provides solutions for consumers to buy online and ship internationally to more than 200 countries. It’s essentially a freight forwarder, which means they receive freight (goods/ items) on your behalf and forward it to you. 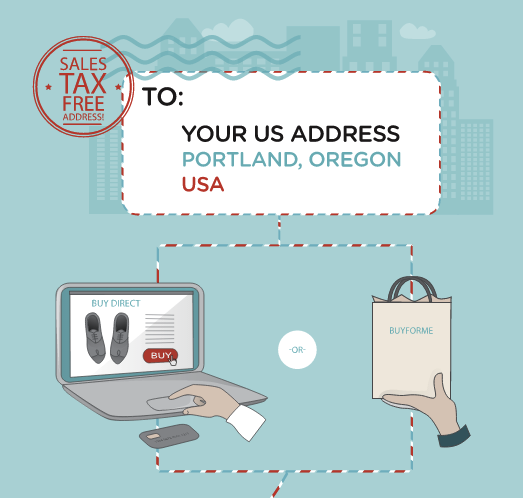 comGateway will give you a free, sales tax-exempted U.S. shipping address. This allows you to buy what you need with no extra taxes. As soon as you register with comGateway, you’ll be given a free, sales tax-exempted U.S. shipping address, and the fun can begin! Start shopping and use the new US address. That is, shop at your favourite U.S. online stores, ship packages to your new U.S. address. If a store won’t accept your credit card, use comGateway’s BuyForMe service. Pro Tip: Shop via Ebates for up to 15% cash back! Be sure your items aren’t prohibited for international shipping. Always your location as United States & consider view currency in $USD- some sites offer more products or lower prices for U.S. customers. Need items from more than one site? 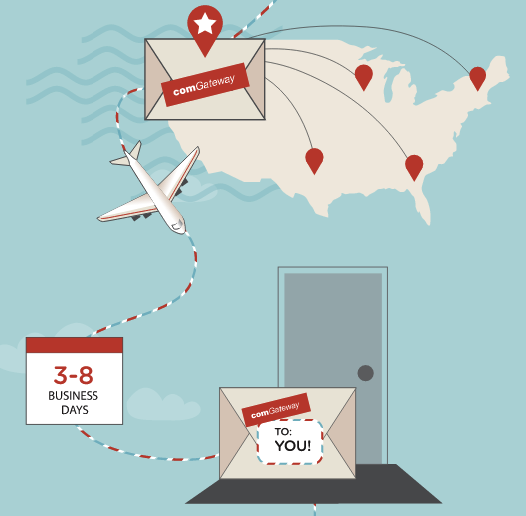 Consolidate multiple packages at your U.S. address and save on international shipping. 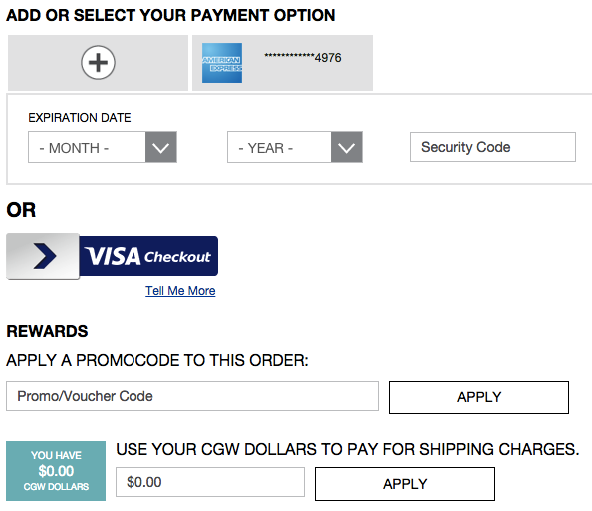 Use comGateway’s Time & Cost Calculator to estimate shipping. I personally brought a bunch of items and had it shipped to my comGateway US address. I brought myself some chocolate from Godiva, and a bunch of items from Amazon such as a Roku3 . The 19.86 USD item below is one I brought using comGateway’s BuyForMe service – to test this so I could share my experiences with you. You can read about my comGateway BuyForMe experience here. After following Steps 1 through to 3 above, I had my items shipped and waiting at my comGateway US address. When you log into comGateway, you will find this under your “Ship” option. I was a bit surprised to see that the shipping weight was higher for some products that I ordered from Amazon. It looks like you need to be very careful and keep in mind not only “Actual Weight” but “Volumetric weight” as well. 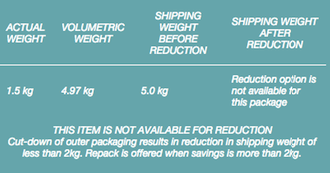 (please read the “How are shipping rates calculated” above for more details). So the important learning from my experience here that you should take note is this. Shipping weight is determined by volumetric and actual weight of a shipment – whichever is greater. Here are these details for each of my purchase line items. You see these details when you highlight the “Shipping Weight” in your “Package Awaiting Instructions” page. Make sure everything you ordered has arrived, tell us how you want them packed, and give us the OK to ship them to you. You’ll be able to track the packages until they arrive in 3-8 business days. comGateway uses FedEx and DHL to manage their logistics delivery here for you. For me, once my items have arrived at the comGateway US address, I shipped my items to my place in Singapore. It is shipped using DHL and they also gave me the option to consider picking up the items from Cheers/ Fairprice. You can have it delivered to an address you desire or self collect at a local Cheers/ Fairprice in Singapore. This is up to you. Step 5 – Enjoy your new items! 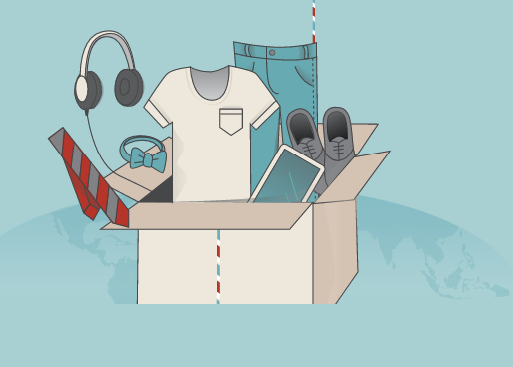 Enjoy your new goods, shipped directly from the US. If you’re wondering, I shipped mine in Jan 2016 on standard shipping and received it on Saturday 16th January 2016. Here’s a summary of the steps again in an infographic. If you’re wondering how shipping rates are calculated. 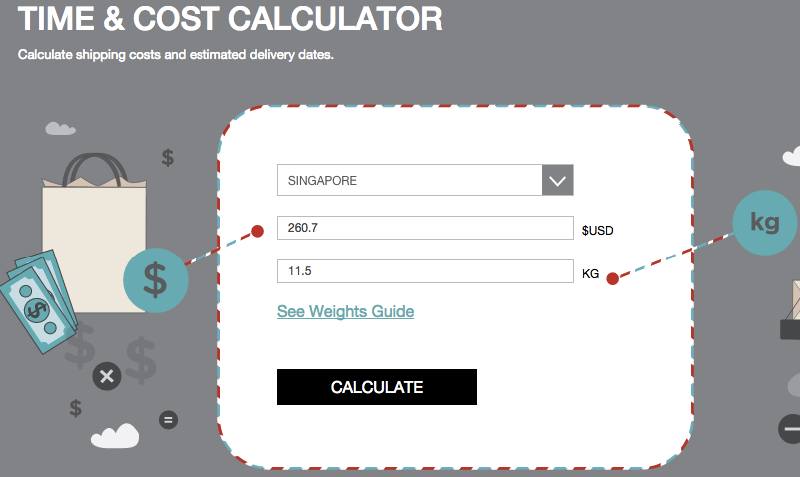 Shipping weight is determined by volumetric and actual weight of a shipment – whichever is greater. Volumetric weight is calculated by multiplying the dimensions of a package and dividing the result via a volumetric factor. I’m based in Singapore so here are my rates as an example. Sound good? Check out more details here at comGateway. I used their Time and Cost calculator as I want to get a feel of the shipping costs now that I know my actual “shipping weight” (after my items has arrived). After putting in my “shipping weight”, this is the results that came up. 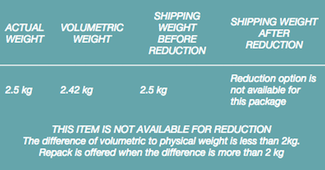 Volumetric and actual weight – Take note and think about what the shipping weight would be. Since this is determined by volumetric and actual weight of a shipment – and they say it’ll be whichever is greater. Use the Time & Cost Calculator from comGateway – It’s handy to use, and gives you a better view of the other costs. Though you’ll need to estimate what you think your “shipping weight” will be. BuyForMe service is great when you don’t have a US credit card, but don’t use it unless that’s the case. As you will need to be careful and ask them to give you a quote on the final domestic US shipping costs from your online store to your comGateway US address.